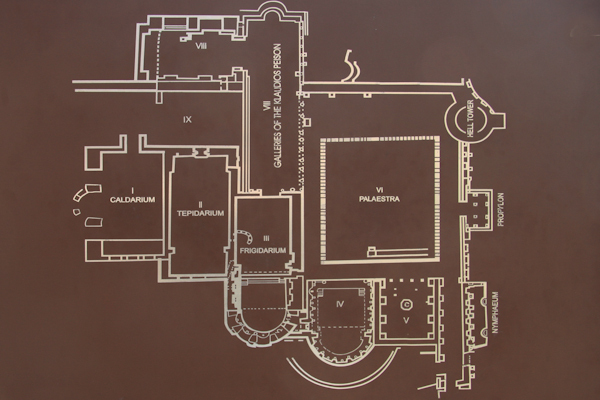 This area is called the "Galleries of the Klaudios Peison." In this general area 12 statues were found! They are now in the Archaeological Museum in Antalya. Among them (room VIII) were statues of Aphrodite, Athena, Athena, and the Three Graces.